Perfect on their own or as an extra layer over a drysuit, the Apeks Tech Shorts create extra storage with great comfort. Perfect on their own or as an extra layer over a drysuit, the Apeks Tech Shorts create extra storage with great comfort. At home on a drysuit or as a short in warm waters, the shorts have great storage options particularly effective in warm water conditions where you could need to store a multitude of items. Comprised of 1.5mm high quality neoprene lining on the outside with nylon on the inside, the shorts have large cargo style pockets as well as D-Rings for accessories to provide exceptional storage. Protective rubber prints on the back of the shorts work to reduce friction and enhance grip making them perfecting for other activities such as jet skiing. Grommets also work for quick drainage to make sure that the shorts never get too heavy out of the water. This unisex design has an easy adjust waistband with two hook and loop flaps and adjustable strap with a quick release buckle to make sure the fit is as comfortable for each individual. Comfortable The Tech Shorts are comprised of nylon with a neoprene lining to provide exceptional comfort both in the water and on the surface. Durable The 1.5mm neoprene helps to add a layer of durability to the shorts meaning they can take on a good level of wear and tear. Multi-Use These shorts can be used for extra storage over a drysuit or on their own in warmer waters. 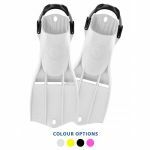 While the protective rubber prints on the back reduce friction and increase grip to make the shorts perfect for jet skiing. Great Storage Large cargo style pockets and D-Rings on the outside for accessories mean that these shorts provide outstanding levels of storage. Unisex DesignThe unisex design is stylish and looks good on men or women. Quick Drying Grommets on the shorts work quickly to drain the shorts of any excess water to keep them as comfortable and light as possible at all times. Who is the Apeks Tech Shorts For? If you’re looking for multi purpose shorts with great comfort then these shorts are perfect. At home in a variety of scenarios, they can be used in cold or warm waters and provide excellent storage and durability to make sure that they can last for years. If you’re a warm water diver looking for storage or using a drysuit and need some extra room, then the Apeks Tech Shorts should tick all of your boxes.